It’s that time again… ROCK THE RUNWAY! Last year we were able to raise $80,000 for Fighting Fancy and the Winthrop P. Rockefeller UAMS Cancer Institute. Lets do it again! 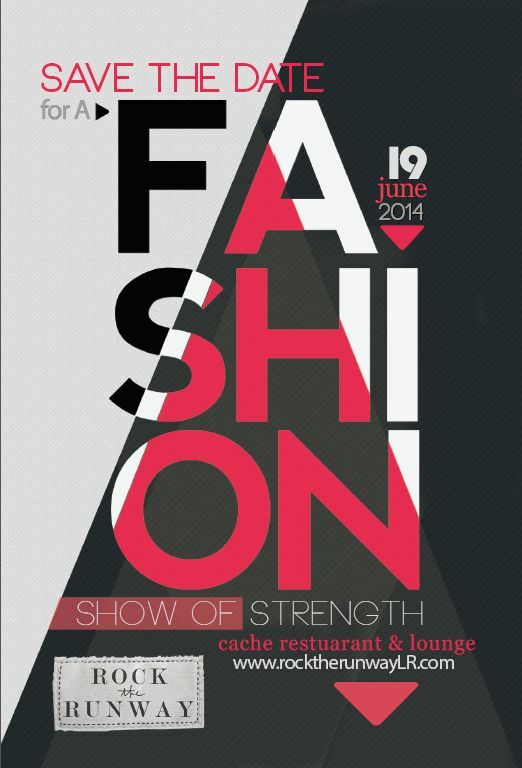 This years fashion show will be at Cache on June 19. We are looking for sponsors!! If you are interested in joining our fight to give back to young women with cancer, please join us! Tickets are $50-100 and sponsorships range from $1000-20,000 for presenting sponsor. For more information on how to be a sponsor and what all that includes click HERE for a sponsor packet. For more information on the event and to see pictures from last year you can check out our website at www.rocktherunwaylr.com. Much more info to come! If you would like to help with the event email me at heather@georgiajamescreative.com. This entry was posted in Uncategorized and tagged Breast cancer, cancer awareness, fighting fancy, rock the runway, women with cancer. Bookmark the permalink.